Online Application Details for Delhi Development Authority DDA Recruitment of 90 Assistant Accounts Officer is given below. 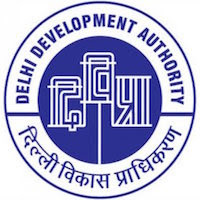 Candidate's minimum education qualification for the Vacancies in Delhi Development Authority DDA should be Graduate / Bachelor Degree. Officers holding analogous posts in the parent Cadre/Department under Central/State Government/Government Autonomous bodies are eligible to be considered for appointment as Assistant Accounts Officer in DDA.. Application form and duly attested documents are to be sent to Commissioner (Personnel), Delhi Development Authority, Block, Ground Floor, Vikas Sadan, New Delhi -110023. In envelope super scribed with 'Application for the Post of Post Name'.